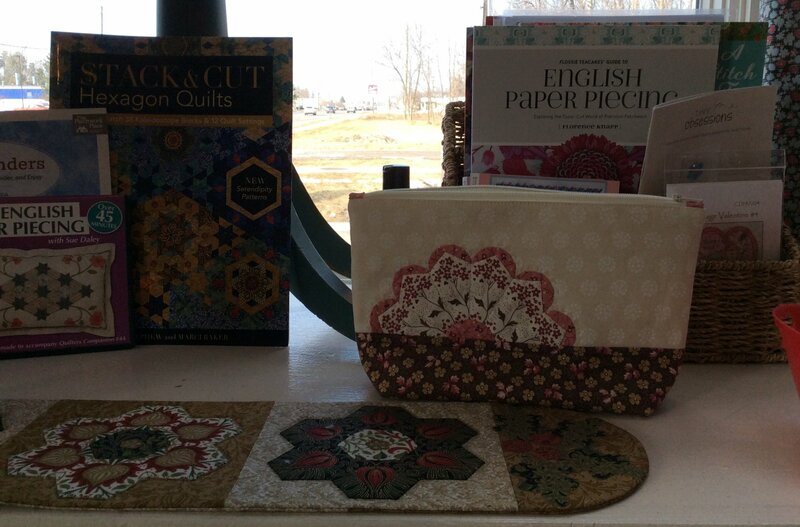 The English Paper Piecing craze continues here at the Garden! During year 3 we will, once again, introduce and offer a variety of small projects each month . . . you decide if it is what you wish to do. We will also undertake this year an absolutely fun (and rather large) quilt "Georgetown On My Mind" designed by Jen Kingwell. Again, it is your decision to participate (or not) in this project. We will say that this is one busy (and talented) group . . . so why not consider joining in! The monthly class fee is $8.00; however, three (3) payments are to be made of $32.00 each (for four classes).